John Boyles has been “of counsel” with the firm for many years, starting while he owned and operated the Mr. Fables restaurant chain, a family business he took over when his father died. (No, he won’t even tell US the recipe for the secret sauce!) By the time the chain was sold in 1988, there were 17 Mr. Fables restaurants operating in West Michigan. In addition, John and his partner developed a successful real estate development company developing restaurants, offices and strip shopping centers. John has always been valued by us and his clients for his straightforward business advice in addition to his legal expertise. John received his undergraduate degree and his law degree from the University of Michigan, and remains a devoted “Go Blue” University of Michigan supporter. 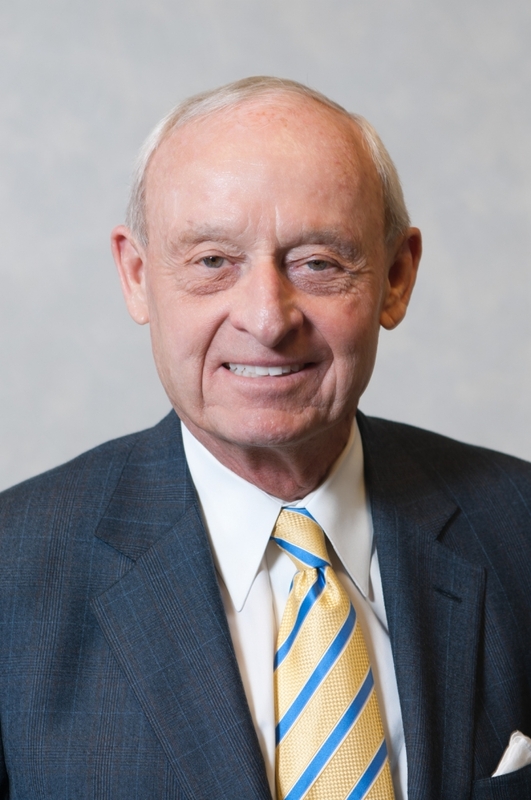 From 1985 to 2000, John served on the Board of Directors of Old Kent Financial Corporation (now Fifth Third) and for several years served as chairman of its Audit Committee. Since being admitted to the practice of law in 1960, John has practiced in the areas of corporate law, real estate and estate planning. While he has retired from active practice (he is now in his 80’s! ), he remains available for consultation on a limited basis, and is a valuable resource for the firm.